Charcoal, dark gray and light gray fabric over foam gives Tosca an unexpected warmth. 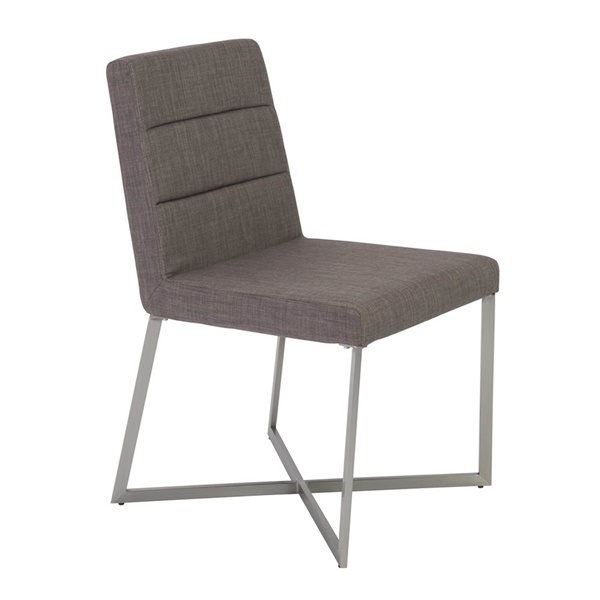 The angle of the backrest is just right for dining and conversation. The base is stainless steel geometry that is incredibly strong.